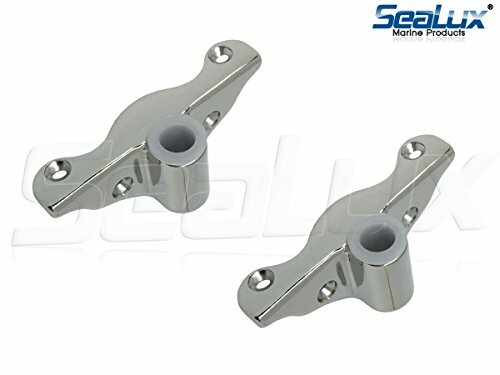 SeaLux 316 Stainless Steel Edge Mount Oarlock Sockets provide more horizontal sheer strength as it is attach to the inside of the gunwale and are screwed on the top and side. Mirror Polish Finish, with plastic bearings to prevent rattling while Oarlock in use. Durable 316 Cast Stainless Steel construction provide superior corrosion protection perfect for harsh enviroment.